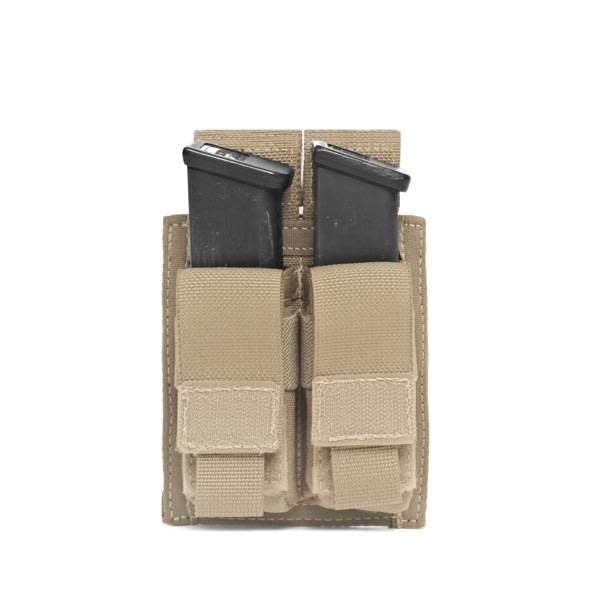 Warriors Double 9mm Direct Action Mag Pouch, is compact and allows the cover to be rolled down and secured with Velcro fixing to allow fast access to mags. 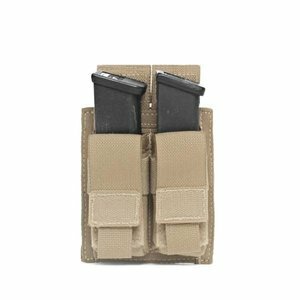 The Double 9mm Direct Action pistol can takes up 2 horizontal rows or MOLLE on compatible plate carriers, rigs and bags. All our Clips, Fabrics, Plastic Hardware, Threads and MultiCam / Coyote Webbing are treated at source to deliver the lowest IR Signature possible.